In courts of law throughout the world, lawyers try to convince a judge or jury of their point of view. It's always crucial to their arguments that everyone understands the basic facts of the case. So, frequently near the end of a trial, lawyers review the facts stating them as plainly as possible in a series of propositions. "This is a fact." "That is a fact." "This happened." "That happened." Well in many ways, the same kind of thing is true in systematic theology. Systematicians also have to establish certain facts, certain theological facts. So, they present their cases in straightforward theological propositions. 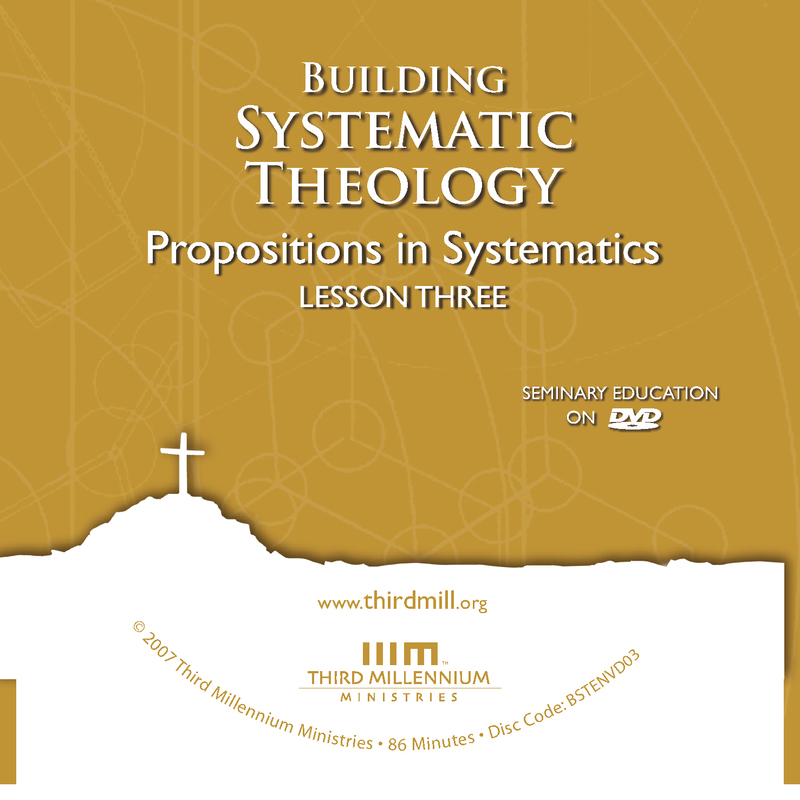 This is the third lesson in our series Building Systematic Theology and we've entitled this lesson "Propositions in Systematics." Traditional systematic theologians are committed to exploring, explaining and defending sound Christian theology. And as we will see in this lesson, an essential part of that commitment is expressing Christian beliefs in theological propositions. Our lesson will divide into three main parts. First, we'll gain a general orientation toward propositions in Systematics. What are they? And how do they fit within the process of building systematic theology? Second, we'll explore how propositions are formed in systematic theology. And third, we'll examine some of the values and dangers of this focus on propositions. Let's begin by focusing our attention on some preliminary considerations, a general orientation toward this aspect of building systematic theology. Our orientation toward propositions in systematics will touch on three issues. First, we'll provide a general definition of propositions. Second, we'll focus on their legitimacy. And third, we'll describe the place of theological propositions. What role do they have in the whole process of building a systematic theology? Let's look first at our definition of theological propositions. A theological proposition is as an indicative sentence that asserts as directly as possible at least one factual theological claim. Before we look at the details of this definition, let's take a look at some examples of what we mean. A distinction is made between Christ's active and passive obedience. The latter denotes Christ's suffering of every kind… Christ's active obedience is his perfect performance of … the moral law. Here, we see that Shedd made three basic assertions. First, he made a general statement that Christ's obedience can be described in two categories: active and passive. The second is that Christ's passive obedience was his endurance of suffering. And the third is that Christ's active obedience was his flawless fulfillment of God's moral law. A theological proposition is an indicative sentence that asserts as directly as possible at least one factual theological claim. This definition focuses on four characteristics of propositions in systematic theology. First, they are "indicative sentences." Second, they are factual claims. Third, these factual claims are primarily theological in nature. And fourth, they make direct factual theological claims, or as we put it, they state matters "as directly as possible." Let's take a closer look at each aspect of this definition, beginning with the idea that theological propositions are indicative sentences. Now we all know that there are different kinds of sentences in ordinary human language. For instance, the sentence, "Where is my key?" is an interrogative, a question. "Open the door" is an imperative sentence because it issues a command or invitation. Neither of these sentences qualifies as a proposition. But the sentence, "My key will open the door" is an indicative sentence that declares what the key will do. We should be clear that as systematic theologians present their points of view, they use all kinds of expressions but at the same time, the dominant mode of expression in systematic theology is straightforward indicative statements. This mode of expression is so dominant that it would be impossible to write a traditional systematic theology any other way. In addition to understanding that propositions are in the form of indicative sentences, it's also important to see that they're designed to assert factual claims. Propositions identify and describe facts. Now through the millennia, philosophers, theologians and linguists have noted that different kinds of propositions make different kinds of factual claims. These matters are far too complex for us to deal with comprehensively, but at the risk of oversimplifying the issues, we'll note two aspects of propositions that should be kept in mind as we explore systematic theology. Following the contours of discussions rooted in Aristotle's writings on logic, we'll point out that propositions may be distinguished first as to their quantity, and second, as to their quality. First, propositions may be described in terms of the quantity of their subject.  The subject of a universal proposition includes every member of a set without exception. For example, the statement "All mammals have hair," claims that something is true of all mammals. In much the same way, systematic theologians often make universal claims in theology. It's common for Christian theologians to say things like, "All human beings are the image of God" or "All good gifts come from God." On the other hand, other propositions are "particular" because their subjects include only some members of a larger set. For instance, if I say, "This house is my house." I'm making a factual claim that is particular, not universal. I'm not saying something about all houses, only about my own house. Systematicians frequently make particular factual claims as well. For instance, they might say something like, "Some church members are unbelievers," or they might claim that "Paul was an apostle." Now for the most part, systematicians try to describe quantities as precisely as possible — sometimes even being more precise than particular verses in the bible. But from time to time, they'll abbreviate issues into generalizations by not mentioning exceptions. For instance, it would be common for a systematic theologian to say, "All human beings are sinners." And at first glance, this universal proposition seems to be true. But this statement is not as precise as it could be. In reality, the whole of Scripture teaches that Jesus was a human being, but that he was righteous. So, from time to time, we do have to pause and ask whether at any given moment systematicians are actually claiming something about all or just part of the classes of things they describe. Second, in addition to quantity, propositions may be distinguished by their quality. That is, they may be categorized as either affirmative or negative assertions. On the one hand, affirmative propositions state positively that something is true. In everyday speech we might say something like, "This dog is mine." This is a particular and affirmative statement. It affirms that one particular dog is one of many things that belong to me. In systematic theology, a proposition like, "Some biblical passages teach about sanctification" is also a particular affirmative proposition because it states that at least some biblical texts fall into this category. A universal and affirmative statement in ordinary life would include something like: "Everything I lost is important to me." Because it states positively that everything I lost is at least part of what is important to me. Systematic theologians often make similar statements in their field of study. For instance, consider the statement "Everything that was created was created by God." This proposition affirms that everything that was created is in the set of things that are created by God. 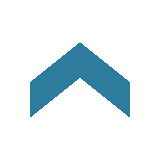 On the other hand, propositions may also have a negative quality and they may be either universal or particular. For instance, when I say, "This house is not my house." I state a particular and negative proposition. And if I want to make a universal and negative proposition, I might say something like, "No one in the room speaks English." Negative claims also appear in systematic theology. For instance, "Jesus was not a sinner" is a negative and particular proposition. It denies something about the one person, Jesus. And we also find universal negatives in theology, such as the statement, "No one who remains an unbeliever can be saved." No persistent unbelievers are included among those who will receive salvation. These distinctions in quantity and quality are important to keep in mind as we study systematic theology. To confuse them can lead to all kinds of serious misunderstandings of what theologians are claiming. Now we should turn to the third dimension of our definition: theological propositions make theological claims. As we put it in our definition, theological propositions don't just make factual claims they make factual theological claims. Now it's true that systematic theologians refer to facts of history and to philosophical concepts that don't fit neatly under the rubric of theology. But their main subject matter is theology. Aquinas' words reflect a common distinction in systematic theology between theology proper, which is the study of God himself, and general theology, the study of other subjects as they relate to God. In line with this common distinction, systematics focuses on both of these levels of theology. On the one hand, systematicians focus attention on theology proper by making statements that directly concern God. They say things like: "God is holy," or "God created the world." But on the other hand, in a broader sense, systematic theologians also concern themselves with general theology, claims about aspects of creation as they relate to God. Regarding salvation, they often say things like, "Salvation is by the grace of God." Or concerning the condition of humanity, they often say things like, "All people living today are sinners." In this sense, theological propositions address more subjects than God himself, but always, at least implicitly, in the context of their relationship to God. In the fourth place, it's important to note that systematic theologians seek to express their views with heightened concern for being direct or straightforward. Of course, we all realize that no description of anything, certainly not of God, is absolutely perfect. But at the same time, systematicians strive to be as direct as possible as they form theological propositions. It would be quite unusual for a systematic theologian simply to say: "The Lord is a shepherd," and to leave it at that. This statement is true to the Scriptures, but systematicians tend to avoid indirect ways of putting things like metaphors and other figures of speech. So, rather than saying, "The Lord is a shepherd," systematicians tend to restate the matter more directly by saying something like, "God has special providential care for his people." They want to express themselves as much as possible in explicit, straightforward, prosaic, propositions. To sum up, we need to keep in mind that we are focusing on a rather specific kind of expression that dominates systematic theology. For our purposes, we may think of theological expressions as indicative sentences that assert as directly as possible at least one factual theological claim. With our basic definition in mind, we should turn to a second facet of our general orientation toward this subject: what is the justification for building theology with propositions? What makes this process legitimate? The Nicene Creed also lists a number of other very important theological propositions. It and many similar creeds have been endorsed by Christians throughout the centuries. At the same time, throughout history there have been those who have questioned the legitimacy of using theological propositions. For our purposes, we will mention two major objections that have been raised: on the one hand, challenges that rise from the doctrine of divine incomprehensibility; and on the other hand, challenges of modern scientific rationalism. Consider first how the doctrine of God's incomprehensibility has raised questions. We're all familiar with the well-known words of Isaiah 55:8-9, the bedrock of this doctrine. Unfortunately, in many circles, this and similar passages have been used to support the idea that God is so far beyond our mental capacities that we simply cannot describe him. In this view, to say that God is love is to try to speak of something that really cannot be described. To say that Jesus is the only way of salvation is to limit God without justification. Now this kind of thinking has taken many forms throughout history. For instance, many theologians have argued that the only way to say anything about God is to follow the via negative — the way of negation. In this view, we cannot make positive statements about God. We can only deny things about him by contrasting him with creation. We can only say things like, "God is not limited by space." "God is not bound by time." "God is not physical." Throughout history, a variety of skeptical, agnostic theologians have argued that we are simply not capable of positively describing God or things in relation to him. Notice that there are two categories of things in view here. On the one side, Moses spoke of "secret things." These are matters that God does not reveal to humanity, the knowledge of which he reserves only for himself. In fact, we must always remind ourselves that the secret, unrevealed things are infinite in scope. In addition to challenges that rise out of the doctrine of incomprehensibility, the legitimacy of theological propositions has also been challenged by modern scientific rationalism. In the last two centuries, the centuries of modern scientism, many different schools of thought have argued that theology is a pseudo or fake science. That is to say, systematic theologians may claim to state objective truths, but this is mere pretense. In modern sciences, when we want to know the truth of a matter, we form hypotheses and subject those hypotheses to empirical validation. And once a hypothesis has stood the test of direct or indirect empirical validation, we then accept it as true. But scientists have been quick to point out that theological propositions cannot be tested in this way. Now, we should all admit that at least in one sense this is true. While we can place a liquid in a test tube and analyze its qualities, no one can put God in a test tube to see if God is Trinity. While we can use instruments to calculate the size of things, there is no instrument that can measure God to see if he is infinite. For this reason, many modern people have argued that at best, theologians are like artists and poets, who project their feelings, religious intuitions and sentiments. We're only fooling ourselves and others when we act as if we are describing objective facts. But there is a sense in which we can verify theological propositions empirically. It's all a matter of what we count as empirical evidence for and against our viewpoints. As followers of Christ, we're committed to following the standards of verification in theology that he followed. And just how did Jesus validate his own theological claims? How did he test the theological propositions of others? "You hypocrites! Isaiah was right when he prophesied about you" (Matthew 15:7). While Jesus did not put God himself in a test tube, he did put theological ideas to the test. He measured theological proposals by carefully evaluating them by the empirical standard of Scripture. As followers of Christ, we must not accept the charge that theology proposes ideas about God without any empirical validation. From a Christian point of view, the claims of systematic theology are more than the expression of religious sentiments. They are proven and disproven by the empirical test of Scripture. Now that we have seen what theological propositions are and how they are legitimate ways of expressing theological facts, we should turn to a third consideration: the place they have in building systematic theology. In previous lessons we've seen that Protestant systematic theology followed many of the priorities that medieval theologians had developed as they interacted with Aristotelian philosophy. And as a result, building systematic theology requires four main steps: the formation of technical terms, the formation of propositions, doctrinal statements, and a comprehensive system of beliefs. Now, we always have to remember that speaking this way is somewhat artificial. Systematicians actually involve themselves in all of these steps all the time. But for the sake of clarity, it helps to think of the process as moving from the simplest to the most complex elements of this effort. At the lowest level, theological technical terms comprise the most basic building blocks of systematic theology. Without carefully defined terminology it would be very difficult to construct sound systematic theology. The second step in the process is the formation of propositions. If we think of technical terms as the basic building blocks of systematics, then we may rightly think of propositions as rows of blocks that explain and elaborate on technical terms. Systematic theologians create these rows of blocks by making statements about God and creation in relation to him. And if we think of propositions as rows of blocks, then we may describe doctrinal statements as portions of walls or whole walls constructed out of these rows of propositions. And finally, the system of theology represents the ways theologians construct an entire building out of doctrinal statements. This analogy suggests the essential place propositions hold in the construction of systematic theology — they are rows of carefully laid blocks that become part of the entire edifice called systematic theology. Take, for instance, the statement "Jesus is the second person of the Trinity." This claim is built with at least two technical terms: "person" and "Trinity." But this proposition does not leave these terms and their related concepts disconnected, instead, they're brought together into a straightforward factual claim about Jesus. Now, from this and other propositions, systematic theologians go on to form the full doctrine of the Trinity. And the doctrine of the Trinity is a part of the doctrine of God, which is a wall in the building that is the entire system of Christian theology. It is important to remember that when systematic theologians discuss or write about theology, they employ all kinds of rhetorical techniques. They propose ideas and support them with evidence. They support and scrutinize the ideas of others. They ask rhetorical questions. They trace the historical developments of ideas. They expose motivations and point to the positive and negative consequences of various positions. A large array of rhetorical techniques is at their fingertips. But, theological propositions undergird all of the explanations, arguments, defenses and persuasive techniques that we find in systematics. And they form an essential part of the process of building systematic theology. Now that we have a general orientation toward propositions in systematics, we should turn to our second major topic: the formation of theological propositions. How do systematic theologians form the propositions with which they build their theology? The processes experienced theologians follow as they create their propositions are enormously complex. So, as we explore how they're created, we must keep in mind that our discussion will be somewhat artificial. Even so, we'll highlight some of the important dimensions of these processes that will help us build systematic theology much more responsibly. We'll look in two basic directions. First, we'll touch on propositions that derive from the ways systematicians interact with philosophy. And second, we'll look in more detail at the ways systematicians form propositions from the bible. Let's consider first the fact that many propositions in systematic theology actually stem from philosophy. You'll recall from previous lessons that in the patristic period, many Christian theologians believed that many aspects of neo-Platonism were true to Scripture. So, they expressed their beliefs with an orientation toward that philosophy. In the medieval period, the vast majority of Christian scholars believed that Aristotelian philosophy was true to Scripture in many significant ways. So, many of the things they said were shaped by Aristotelian perspectives. And even in Protestant systematic theology, various modern philosophies have, for better or worse, provided important orientations. And as a result, many claims that appear in systematic theology stem from philosophical discussions. Now, we have to be careful as we notice that many propositions derive from such philosophical roots, because the Scriptures both warn us against philosophy and encourage us to use it. Where is the wise man? Where is the scholar? Where is the philosopher of this age? Has not God made foolish the wisdom of the world? (1 Corinthians 1:20). It's critical that Christian theologians remember the basic antithesis between Christian theology and non-Christian philosophies. But at the same time, in Acts 17:27-28 Paul demonstrated a positive use for philosophical reflection by drawing from the words of the Greek philosophical poets Clianthus and Aerates. God … is not far from each of us… As some of your own poets have said, "We are his offspring" (Acts 17: 27-28). This passage demonstrates that although we must be aware of the dangers, Christian theologians have been right to interact with various philosophies. And they've been right even to incorporate true theological claims that stem from philosophical discussions even as Paul did when he was in Athens. Although we should be aware of these philosophical roots, the Bible is by far the most important source for theological propositions in systematics. For this reason we should give special attention to the ways systematicians form their theological claims from what the Bible teaches. To accomplish this goal we'll look in three directions: first, we'll consider the challenges that systematicians face in this regard. Second, we'll see how systematicians meet one aspect of these challenges through a process that we will call, "factual reduction." And third, we'll explore how systematicians meet another aspect of these challenges through "factual collation." Let's look first at the challenges that systematicians face as they form propositions from the bible. When students of theology first begin to study systematics they often have the impression that creating theological propositions from the Bible is a simple matter. They think that we only need to read the bible and to repeat what it says. Sometimes this is true because the bible does include some propositions, but there are also many significant challenges. In addition to the effects of human finitude and sin, the Scriptures themselves present at least two challenges to forming theological propositions. One challenge rises out of the literary variety we find in the bible. And another challenge rises out of the doctrinal arrangement of the Bible. Consider first the difficulties that systematicians face because of the literary variety of the Scriptures. The Bible is not a flat literary terrain repeating the same kind of material over and over. Instead, a number of genres appear throughout the Bible and combine with each other in countless ways. The bible contains mixtures of narrative, law, poetry, prophecy, and epistles — to name just a few. Within each of these larger genres are different kinds of expressions: statements, commands, questions, complaints, encouragements, exclamations, benedictions, quotations, lists, statutes, titles, technical instructions, signatures. The list goes on, and on, and on. And along with these varieties are countless figures of speech and other literary subtleties that flavor Scripture in many different ways. This great literary variety complicates the formation of theological propositions. Imagine for a moment that the Bible were a book consisting of only of straightforward propositions, simply listing one theological fact after another. If this were the case, then using the bible in systematic theology would be relatively easy. But of course, Scripture is not like this; it's literarily diverse. Now imagine that systematic theologians were inclined to express their theology with great literary variety. Imagine that their theologies were filled with poetry, narratives, commands, epistles, complaints, figures of speech and the like. If this were so, then once again the presentation of Scripture and systematics would fit nicely with each other. But of course, this is not the case either. The fact is that the Bible is literarily diverse, but systematicians express the Bible's teaching almost exclusively in propositions. In effect, systematicians have to squeeze all the various types of literature they encounter in the Bible into one specific kind of expression. And this disparity is one of the greatest challenges facing systematic theologians. A second challenge that Scripture presents to systematic theologians is the way it arranges or doesn't arrange its doctrines. In a word, the Scriptures do not deal with particular themes in complete, discrete units. Instead, the same topic is often addressed in bits and pieces scattered here and there throughout the Bible. And this characteristic of Scripture also challenges systematic theologians. Imagine that the Bible were different in this regard. Suppose that it dealt completely with one doctrine at a time. Suppose the bible regularly dealt with one theme, thoroughly discussed it, and then moved on to the next theme. If this were so, then perhaps systematic theologians could simply read each portion of the Bible and easily form theological claims based on each part of the Bible. But of course, this is not how the bible presents its theological themes. Or imagine that systematic theologians were less orderly, touching on one small aspect of a subject at a time, and suppose they commonly addressed many other bits and pieces of other doctrines before returning to address a second small aspect of the first doctrine. If they were satisfied to address a matter here and there in bits and pieces, then perhaps it would be relatively easy for them to work with Scripture. But of course, this is not what systematicians want to do. They want to present the teachings of Scripture as fully and as orderly as they can. And as a result, they have to work hard to combine information from all kinds of places in the Scriptures. The Scriptures touch on aspects of theological topics in various ways in different places and this feature of the bible's presentation of theology is another great challenge for systematic theologians. Now that we've seen two of the main challenges systematicians face as they work with Scripture, we should turn our attention to the process of factual reduction. This is the strategy systematicians use to overcome the challenge of literary variety in the Bible. Factual reduction is the process of focusing on theological facts that biblical passages teach, and marginalizing other dimensions of these same passages. As with human language in general, passages in the Bible were designed to have manifold impacts on their readers. They informed, inspired, accused, motivated, directed, encouraged, discouraged, delighted, perplexed, corrected, trained, facilitated, blessed, cursed, stirred the imagination, and so on and so on. Now not all passages in the Bible were designed to do all of these things, all of the time and certainly not with equal force, but every biblical passage of significant length was designed to have a variety of impacts. But systematic theologians focus their attention primarily, if not exclusively, on the theological facts taught in Scripture. In other words, systematicians reduce their attention to factual considerations, while other features of biblical texts go largely unattended. Now, the process of reducing Scripture to its facts is relatively straightforward when biblical passages were designed primarily to assert factual claims. In these situations, systematicians simply note the explicit and implicit facts presented in a biblical text, and then focus on those facts that are pertinent to their discussions. Now, in the larger context, we can tell that this verse was designed to be much more than a mere catalogue of facts about the Bible. Paul connected this verse to the preceding context as a motivation for Timothy to pay careful attention to the Scriptures. At the very least, this verse was designed to encourage and to motivate Timothy to renew his commitments to the Scriptures. But a prominent dimension of this complex design was to make a number of explicit theological assertions. And systematic theologians make much use of this passage because they're interested in these factual theological claims. The explicit facts of this passage can be summarized in a series of universal and affirmative propositions: "All Scripture is God-breathed." "All Scripture is useful for teaching." "All Scripture is useful for rebuking." "All Scripture is useful for correcting." "All Scripture is useful for training." These propositions reflect the factual considerations communicated explicitly by this verse. In addition to these explicit claims, this verse logically entails a number of implicit claims that are also of interest to systematicians. For instance, it's fair to say that God desired to communicate his will. This passage also implies that attention to Scripture is vital to sanctification. And even though Paul spoke specifically of the Scriptures of the Old Testament, he implied that the New Testament Scriptures are also inspired and useful in these ways. With these explicit and implicit theological facts delineated, systematicians can then use these truths to explain and defend their treatments of various theological topics. As you can imagine, this verse frequently appears in systematic theology to support claims about the doctrine of Scripture. Biblical writers claim inerrancy for the written Word of God which he gave to humankind through them by inspiration. This kind of statement is a typical way this verse is used in systematics. But the explicit and implicit theological facts taught in 2 Timothy 3:16 also address other traditional theological topics. For example, systematicians may refer to this passage under the rubric of theology proper as evidence that God is merciful because he revealed himself to humanity. They may use it in the doctrine of ecclesiology to establish that the reading and the preaching of Scripture is a means of grace in the church. They may also refer to it under the rubric of eschatology to establish the reliability of biblical prophecy. The possibilities are endless. With biblical passages that are very similar to theological propositions, the process of factual reduction is relatively simple. When we read in Genesis 1:1, that God created all things, it's not difficult to infer the fact that God is the Creator. When we read in Isaiah 6:3, that the Seraphim cried, "Holy, holy, holy" before the Lord, it's simple to conclude that God is Holy. When we read in Romans 3:28 that justification is by faith apart from works, we may bring this statement into our discussion of Soteriology. Many passages in Scripture make claims that are easily brought into systematic theology. And not surprisingly, systematicians frequently draw from these kinds of passages. Do not withhold discipline from a child; if you punish him with the rod, he will not die. Punish him with the rod and save his soul from death (Proverbs 23:13-14). Now at first glance this proverb appears to make two factual claims. It says of a child who is disciplined, "he will not die." And it says that a father who disciplines his son will "save the son's soul from death." But in the genre of proverb, statements like these are almost never straightforward propositions. A careful interpreter will see that these verses are not making straightforward claims or guarantees about the effectiveness of discipline. Instead, these verses encourage wise fathers to discipline their children because discipline tends to produce positive outcomes in their children's lives. In fact, as the first portions of these verses indicate, this proverb was designed primarily as an exhortation to fathers. The sage said, "Do not withhold discipline, punish him." Fathers are advised here to discipline their children. With these issues in mind, systematicians can delineate a number of implicit facts. For instance, under the doctrine of anthropology, systematicians could use this passage as evidence that children are sinful. Under the rubric of sanctification, they could use it to establish that parental discipline is designed for growth in holiness. Certainly evidences are not wanting that there was a belief in the resurrection long before the exile. It is implied in the passages that speak of a deliverance from Sheol. Here, Berkhof concluded that the words "save his soul from death," in Proverbs 23:14, implied that faithful Israelites in the Old Testament believed in the general resurrection of the dead. Through significant factual reduction Berkhof supported an aspect of eschatology with a passage primarily designed to encourage fathers to discipline their children. Now, at times focusing on facts can be even more reductionistic. For example, you'll recall that systematic theologians tend to state things as directly as possible. So, if a passage employs figures of speech, systematicians tend to explain what those figures of speech mean plainly. There is a rich series of images depicting the nature and function of the Word of God… a hammer … a mirror … a seed … rain and snow … milk … strong meat … gold and silver … a lamp … a sword … [and] a fire. These images graphically convey the idea that the Word of God is powerful and able to accomplish great work in the life of the individual. Now I can't imagine anyone seriously disagreeing with his assessment, but it's also clear that this assessment is the product of extensive factual reduction, marginalizing the wider impact of these images in favor of simply stating a fact that they proved. As you can imagine, the process of factual reduction works this way with many passages. For instance, we can draw from the first commandment, in Exodus 20:3 where God says there should be no other gods before Him, that the God of Scripture is supreme over all other supernatural powers. We can conclude from the first verse of Psalms 105, which calls for praise to God, that God is worthy of praise. Even when biblical passages were designed to have manifold impacts on their readers, systematicians almost always focus on factual content, and explain these facts in direct theological propositions. Systematicians overcome the challenge of the variety of biblical literature through the process of factual reduction. But they deal with the challenge of the bible's doctrinal arrangement through a process we will call "factual collation." Because the teachings of Scripture on particular topics are scattered throughout the Bible, systematicians have to collate or collect passages from all over the Bible as they form their propositions. It's not uncommon to see passages from Genesis set alongside passages from Romans, or portions of the Psalms next to verses from James, or sections of Matthew alongside Revelation. Passages are gathered from very different parts of the Bible and associated with each other because they teach related theological facts. This process of collating facts from different portions of Scripture follows many different patterns, but for the sake of simplicity we'll speak of two main ways this is done. On the one hand, some passages are collated, gathered together because they repeat the same facts. On the other hand, some passages are collated or gathered because together, they compose a complex theological claim. Let's unpack these two processes. In the first place, systematicians often form theological propositions by drawing from passages that repeat the same basic idea. We think this way many times in everyday life. Suppose you suspect you've lost some money. What do you do? You may count the money in your pocket once. But if you're still not sure, you might count it again and again until you're fully convinced that you either did or did not lose the money. Well, in many ways, this is what systematic theologians do when they collate Scriptures that repeat the same theological facts. They may suspect that they've understood a passage correctly. They may believe that they formed a true theological proposition from it. So, they look at many parts of the bible to see if the same motif can be discovered there as well. [The Bible] explicitly asserts the deity of the Son. But because Berkhof was aware that many people have denied this claim, he did not support his view with just one passage. Instead, he pointed out that this theological fact is explicitly asserted in John 1:1, in John 20:28, in Romans 9:5, Philippians 2:6, Titus 2:13, and 1 John 5:20. In this case, Berkhof collated verses from five different books in the New Testament because they repeated the same teaching. Most of us have heard the principle that we should always seek support for major doctrines from a variety of passages in Scripture. The reason for following this principle is that it's easy to misunderstand a single biblical reference. One way to confirm that we've understood the claim of one passage correctly is to show that the same claim is repeated in other parts of the Bible. In other lessons we've spoken of theological certainty using a model that we called "the cone of certainty." We noted that responsible Christian theologians are not simply interested in determining what to believe, but also in coordinating the strength of their convictions with the strength of the evidence for those convictions. In many respects, this is why we collate verses that repeat the same theological fact. When we cannot find repetitive scriptural support for a proposition, we should normally lower our confidence in that proposition. But seeing a fact repeated over and over in the Scriptures is an ordinary way we can gain more confidence. As important as repetitive collation may be, systematicians also collate biblical passages to form composite support for a theological proposition. In other words, systematicians find various factual claims throughout the Bible, and collect these to form larger, multifaceted theological assertions. Let's illustrate the process of compositional collation with an example from everyday life. Imagine that I'm about to go outside and I hear thunder and suspect that it's raining. How do I confirm that suspicion? Well, one way is to notice other things that confirm it. When a friend comes running in and is drenched with water, I am more convinced that it's raining. If my friend hands me his wet umbrella, then I'm even more convinced that it's raining. And then if he says, "It's raining cats and dogs outside," I'm going to be so fully convinced that I won't even think about going outside without my own umbrella. These observations are not repetitive; I hear thunder; I see my soaked friend; I touch his umbrella; and I receive an explicit report. Each one of these evidences contributes something different, and together they compose evidence that convinces me that my suspicion was true. In many ways, systematicians follow a similar pattern of compositional collation. They note that one thing is taught in one passage. Then they notice that another related matter is claimed in another passage. Then they find other passages that teach other relevant ideas. Then they gather all of this information together to form a theological proposition composed of all these theological facts. [The Bible also] applies divine names to him … ascribes to Him divine attributes … speaks of Him as doing divine works … and accords Him divine honor. Berkhof's conclusion that Christ is God was not based on any of these claims individually, but on the aggregate of all of these theological claims. It isn't difficult to understand why Berkhof did this. The belief that Christ is divine has been challenged by many interpreters of Scripture. So, it wasn't adequate simply to show that some verses explicitly assert his deity. He wanted to confirm that he had understood these verses correctly by adding the support of other considerations. The fact that the Scriptures attribute to Christ divine names; that they ascribe divine attributes to him, like omnipresence, and omniscience, that they speak of him doing things that God does like creating and sustaining all things; that they give him honor that is due only to God, like worship and prayer. These biblical factual claims come together to compose compelling evidence that Berkhof had a true theological proposition: the proposition that Christ is divine. So it is that systematic theologians form theological propositions from the Scriptures first by reducing their focus to the facts asserted in biblical passages. And second by collating passages from various parts of Scripture. By these means systematicians are able to have confidence that they have formed theological propositions that are true to Scripture. Now that we've gained a general orientation toward theological propositions and we've seen how systematicians form them, we're ready to turn to our third main topic: the values and dangers of theological propositions in systematic theology. As we explore this matter, we'll follow the pattern of previous lessons in this series by looking at the effects of propositions on the three major resources for building Christian theology. You'll recall that Christians are to build theology out of God's special and general revelation. We gain understanding of special revelation primarily through the exegesis of Scripture, and we avail ourselves of important dimensions of general revelation by focusing on interaction in community , learning from others, especially other Christians, and by focusing on Christian living; our experiences of living for Christ. Because these resources are so critical, we'll explore the values and dangers of theological propositions in terms of each of them. We'll look first at propositions and Christian living; second, we'll explore propositions in relation to interaction in community; and third, we'll examine propositions in connection with the exegesis of Scripture. Let's look first at the theological resource of Christian living. Christian living amounts to the process of personal sanctification, and we've seen in other lessons that personal sanctification takes place on conceptual, behavioral and emotional levels. Or as we've put it: on the levels of orthodoxy, orthopraxis and orthopathos. Time will not allow us to explore all the ways theological propositions affect these various aspects of sanctification. So, we'll limit ourselves to one major way they can enhance and one major way they can hinder Christian living. Let's look first at one way theological propositions can enhance our attempts to live for Christ. One of the greatest advantages of traditional theological propositions is that they clearly and succinctly express many crucial aspects of our faith. In our day, most Christians are unable to articulate what they believe with much precision. And because we can't make sound summaries of our beliefs, we often have difficulty living for Christ in our daily lives. I remember once talking with a young woman who didn't know how to make a decision about her church. She felt uneasy about the fact that her church tolerated some immoral lifestyles among its members, but she didn't want to leave. She came to me and said, "I don't know what to do. I get so much from the preaching that I don't want to stop going to my church. How can I make a decision?" So, I asked her, "What do you think the marks of the true church are?" She looked at me with a blank stare and finally said, "I don't know." So I followed up this way "I don't think you'll be able to decide what to do about your church until you decide what you believe characterizes the true church." Then I told her, "Protestant theology teaches that there are three marks of the true church. They're the faithful preaching of the word, the faithful administration of the sacraments, and the faithful practice of church discipline." Her response was remarkable. She said to me "I wish someone had told me this before. I just didn't know what to think." In the modern world, Christians often don't want to take the time to learn even the most basic theological claims that Christianity makes. So, they substitute sentiment or uninformed opinion for well-formed theological propositions. But the result of this is often the same: when we have important decisions to make, moral choices that we face every day, we don't know what to do because we're not able to articulate well-formed theological propositions. Traditional systematic theology has given us many propositions that are true to Scripture. And learning them is one of the most helpful things Christians can do as they seek to live for Christ. Now, as positive as it can be to become familiar with traditional theological propositions, it's also the case that overemphasizing them or relying too heavily on them can actually hinder Christian living. One way this is true is that Christians who study systematics often think that an extensive set of theological propositions is all they need to make practical decisions in the Christian life. Now, as we've already seen, theological propositions can be very helpful. But at the same time, we must always remember that there is a gap between the standard propositions of theology and the choices we have to make as Christians. Theological propositions are typically rather abstract or about matters other than those we're facing. So they do not directly address the specifics of the situations we face. And as result, they cannot offer sufficient guidance for the practical decisions we must make. Unfortunately, believers who become overly invested in propositions often don't realize how great this gap is. They convince themselves that all they have to do is to think logically about a set of propositions, and then everything will make perfectly good sense. But in reality, in every decision we make as Christians we must depend not only on theological formulations, but also on things like the details of our situation and the personal ministry of the Holy Spirit. We must use these aspects of general revelation to fill in the gap between theological principles and real life decisions. Let me return to the example of the young woman who was thinking about leaving her church. As soon as she heard the three marks of the church faithful preaching, faithful administration of the sacraments and the faithful exercise of church discipline, she quickly made up her mind to leave her church. But I immediately cautioned her. I warned her, "Wait a minute. You need to realize something. No church anywhere in the world has the three marks of the church perfectly. You need to look carefully at your church and decide just how bad things are. And more than this, you also need to spend time in prayer, seeking the leading of the Holy Spirit so you can make a firm decision. Only then can you leave in good conscience." In a word, I was telling that young woman that as important as theological propositions were in her circumstance, relying only on theological propositions could actually hinder her Christian living. Before acting, she needed to look to general revelation. She needed to understand her situation well, and to submit herself to the personal ministry of the Spirit. In addition to understanding how theological propositions can bring advantages and disadvantages to Christian living, we should also be aware of how they influence our interaction in community. Interaction in community helps us focus on the importance of the body of Christ in our lives. In these lessons, we've spoken of three important dimensions of interaction within the Christian community: Christian heritage — the witness of the Holy Spirit's work in the church of the past; present Christian community — the witness of the Holy Spirit in Christians living today; and private judgment — the witness of the Holy Spirit working in our personal conclusions and convictions. These dimensions of community interact with each other in countless ways. We'll briefly mention just a couple of thoughts about the ways theological propositions can enhance and hinder these elements of community interaction. Let's look first at one important way theological propositions can enhance interaction in community. As sad as it is, many evangelical Christians in our day bounce from one church to another, from one preacher or teacher to another, with little ability to determine how they should interact with those churches and preachers. We don't know whom to follow. We can't discern the positives and negatives of a church. This lack of discernment commonly stems from ignorance of the basic factual claims of the Christian faith. Becoming aware of the fundamental theological propositions of systematic theology is one of the best ways to become a more discerning follower of Christ. One very practical way to take advantage of sound theological propositions is to become acquainted with some Protestant catechisms. Catechisms like the Heidelberg Catechism , or the Westminster Shorter Catechism offer short theological propositions that are easy to learn. And with these theological views in hand, followers of Christ can be more discerning. That I am not my own, but belong body and soul, in life and in death to my faithful Savior Jesus Christ. He has fully paid for all my sins with his precious blood, and has set me free from the tyranny of the devil. He also watches over me in such a way that not a hair can fall from my head without the will of my Father in heaven: in fact, all things must work together for my salvation. Because I belong to him, Christ, by his Holy Spirit, assures me of eternal life and makes me wholeheartedly willing and ready from now on to live for him. Learning solid theological viewpoints like these can equip us to be much more discerning as we interact with other Christians. And in this way, they greatly enhance our interaction in community. At the same time, while understanding sound theological propositions can enhance interaction by making us more discerning, focusing on theological propositions can also hinder interaction among Christians. Sometimes Christians so closely attach themselves to a set of propositions that they have a difficult time interacting in positive ways with other believers who may not say things in exactly the same way. You see, there's a problem with theological propositions that we often forget: most of them are not quotations from the Bible. Instead, they are the products of human interpretation. They attempt to summarize biblical teachings as accurately as possible. But as we've seen in this lesson, sometimes they result from very complex processes. Even the best theological propositions are limited in scope. And all are flawed in one way or another. Consequently, as we learn more about the theological propositions of systematic theology, we must always temper our attachment to them with the knowledge that they are not inspired, they are not infallible, and their authority is not as great as the Bible's. I remember once talking with a friend who said he had no Christian friends. He complained of being lonely. So, I asked him if he had fellowship with anyone. He told me, "I can't find anyone who agrees with what I believe. So, I don't have any fellowship." I responded this way, "Do you mean you can't find anyone who believes in Christ?" "Oh no, not that," he replied. "I just can't find anyone who agrees with me on everything." I was dismayed by this friend. He should have known that Christians have never agreed on every detail of theology. But sadly, this friend of mine had terrible priorities. He had placed so much emphasis on theological propositions, that it completely hindered his ability to fellowship with others. Throughout the centuries, the cause of Christ has suffered tremendous harm when Christians have allowed their theological commitments to hinder their interactions with other Christians. When we insist that others conform to our beliefs on this or that subtle dimension of theological issue, we go far beyond the instructions of Scripture. We know that an idol is nothing … But not everyone knows this. Some people are still so accustomed to idols … their conscience is weak … [I]f anyone with a weak conscience sees you who have this knowledge eating in an idol's temple, won't he be emboldened to eat what has been sacrificed to idols?... When you sin against your brothers in this way … you sin against Christ (1 Corinthians 8:4-12). Paul exhorted the knowledgeable Christians to love those who were not as knowledgeable, and to serve them. He even exhorted those who were knowledgeable to restrict acting on their knowledge to avoid causing others to stumble. Rather than encouraging division and elitism, Paul insisted that those with good theology find ways to fellowship with those whose theology was weak on non-essential topics. In short, he taught them that fellowship was more important than precision on non-essential theological propositions. It's time for all of us to learn how to work together with Christians who don't agree with us in every detail. Having seen some of the ways theological propositions relate to Christian Living and Interaction in Community, we should turn to the third major theological resource: the exegesis of Scripture. How do propositions in systematics affect our interpretation of the Bible? Exegesis is vital to building Christian theology because it's our most direct access to God's special revelation in Scripture. We've suggested in another lesson that it's helpful to think of three main ways the Holy Spirit has led the church to interpret the Scriptures. We've dubbed these broad categories: literary analysis, historical analysis and thematic analysis. Literary analysis looks at the Scriptures as a picture, as artistic presentations designed by human authors to influence their original audiences through their distinctive literary features. Historical analysis looks at the Scriptures as a window to history, a way of seeing and learning from the ancient historical events that the Bible reports. And thematic analysis treats the Scriptures as a mirror, a way of reflecting on questions and topics that are of interest to us. With these contours of exegesis in mind, we should explore the ways theological propositions can enhance and hinder our interpretation of the Bible. One of the most obvious ways propositions help us in exegesis is the way they clarify the theological claims that are spread throughout the Bible. If there's one thing that's true: the Bible is a complex book. Its various literary genres, historical references and theological teachings are so extensive that many Christians are unable to see much coherence in the Bible. And as a result, many of us are satisfied with searching and studying only small portions of the Scriptures to learn a few principles here and there from this passage or that passage. As soon as we begin to broaden our awareness of the bible, we find ourselves lost in confusion. Into this confusion comes the help of centuries of faithful interpretation represented by theological propositions of systematic theology. For centuries, well-informed Christians have searched the Scriptures to find the theological claims that appear there. And knowing those summaries of the teaching of Scripture can provide helpful guideposts for us as we make our way through the varied terrain of the Bible. I often recommend to students that one helpful way to enter into the teaching of any biblical passage is to look for the ways the passage touches on important theological themes that appear in systematic theology. Now, not every portion of the Bible will have something to say about every theological proposition, but reading a passage with basic theological propositions in mind will often help to provide an orientation toward a biblical passage. For instance, we might ask, "What does Genesis 1 teach about God that systematic theologians emphasize?" Well, among other things, it teaches that God is the creator of the universe. And what does it say about human beings that is emphasized in systematic theology? Well, it teaches that we're creatures, that we're the image of God, and that God has commanded us to exercise dominion over the earth. Learning how specific passages touch on the factual claims of systematic theology is one of the greatest enhancements of exegesis that systematics offers. As valuable as propositions may be for exegesis, we must also become aware of one of the most significant ways they can hinder our interpretation of Scripture. We've spoken already about the ways that systematic theologians interpret Scripture through factual reduction, how they focus on the explicit and implicit factual claims of biblical passages and marginalize other things the Scriptures have for us. But the fact is, God inspired Scripture to impact us on a variety of levels, and he did this because we need his guidance in all of these ways. So, when we habitually highlight only factual claims, we cut ourselves off from many things that God offers us in Scripture. We can speak of the various impacts that Scriptures were designed to have in many different ways. But one helpful approach is to speak of three interconnected dimensions of all biblical texts. In the first place, biblical passages have informative impact. That is to say, they convey explicit and implicit facts that we should know and believe. This is the strength of systematic theology. Its goal is to isolate and collate these facts into theological propositions. But at the same time, biblical passages also have directive impact. They give us explicit and implicit moral directions for our lives. This is most obvious when we approach passages that come in the form of commands. But even passages that are designed primarily to state information also imply moral responsibilities. According to Paul, every biblical passage is designed to have some measure of directive impact. In the third place, biblical passages also have affective impact. They explicitly or implicitly target the emotions of readers. This function of Scripture is most obvious when we read highly emotional texts like the Psalms, or other passages where biblical writers emphasize emotions. But every biblical passage has the potential to touch us emotionally. "'Love the Lord your God with all your heart and with all your soul and with all your mind.' This is the first and greatest commandment. And the second is like it: 'Love your neighbor as yourself.' All the Law and the Prophets hang on these two commandments" (Matthew 22:37-40). In the Scriptures, love is a very emotional concept. And according to Jesus, it is fundamental to our faith. Biblical writers call for us to experience all sorts of holy emotions. They expect us to be motivated to hate sin and its consequences. They expect us to weep and to rejoice and to experience the full range of proper human emotions in response to what we see on the pages of Scripture. This manifold design of the Scriptures is the reason we must not restrict ourselves to looking for theological propositions in the Bible. It's important to get our facts straight. But it's just as important to get our morals and our emotions straight as well. The riches of Scripture wait to be discovered through careful exegesis. But careful interpretation of the Bible must be broad enough to uncover all that the Scriptures offer us. So it is that propositions in systematics offer us many values and many dangers. They can enhance Christian living, interaction in community, and the exegesis of Scripture in many ways. But they can also hinder our access to these three major theological resources. In this lesson we've explored propositions and systematics. And we've come to a basic understanding of what they are and why they are important. We've also seen how propositions are formed in systematic theology. And we've explored some of the values and dangers they present. Forming theological propositions is essential to the process of building systematic theology. We must know how to express and defend the facts of the Christian faith. For this reason, theological propositions have been crucial to building systematic theology throughout the centuries and they are vital to building sound systematic theology even today.